One bedroom attic flat (fourth floor) with open plan kitchen, dining and lounge areas. Double sofa bed in the lounge. Sleeps four comfortably. Convenient for shops, restaurants, bars and the beach. 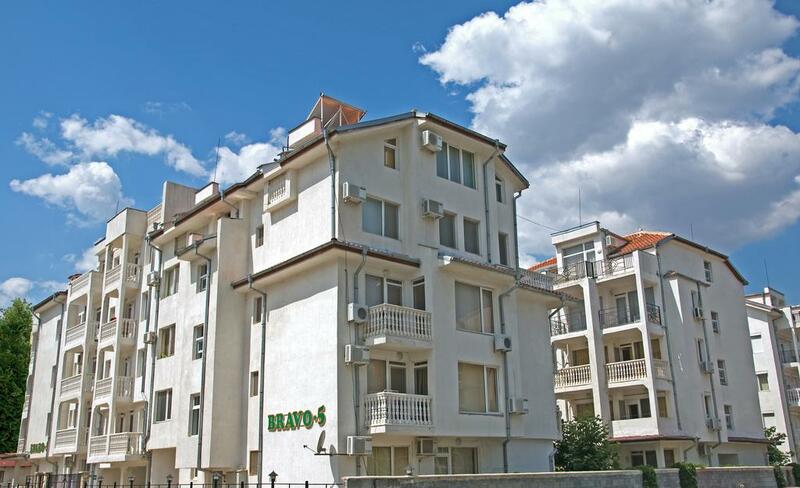 Bravo 5 Holiday Village is a lovely complex located in the centre of Sunny Beach. The complex is within walking distance of the many attractions and amenities in this popular resort and is less than 30 mins from Bourgas International Airport. 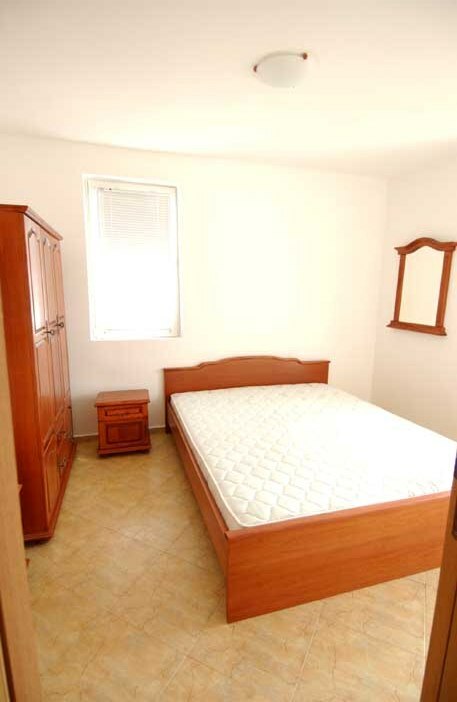 This one bedroom apartment is bright, spacious and very comfortable. It comprises an open plan lounge with dining area, a modern fitted kitchen, 1 double bedroom and a bathroom. High quality building materials have been used throughout, reflected in the finishing and fitting-out: HDF doors, PVC double-glazed windows with security shutters, air conditioning, ceramic floor tiles throughout, ceramic tiles to both the front and rear balconies. 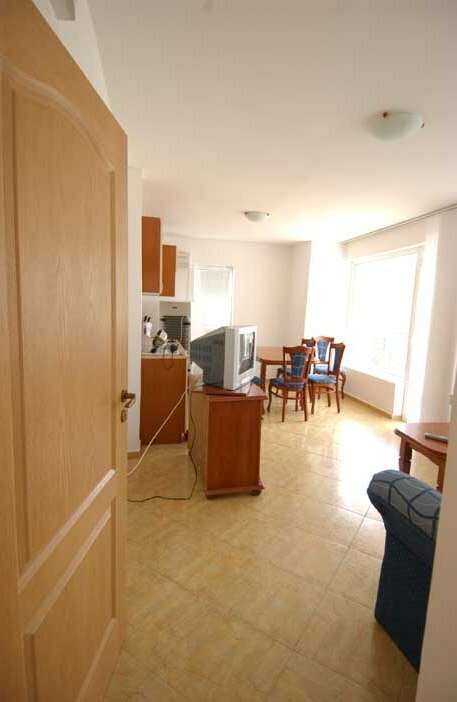 The full range of amenities and facilities of Sunny Beach are only a short walk from the complex and some of the most popular restaurants in the resort are located in the market area which is a 2 min stroll away. Sunny Beach is renowned for its Blue Flag beach of fine golden sand and natural dunes. This is a great place for water sports and sunbathing with over 1,700 hours of sunshine between May and October and an average daily temperature of 27 degrees. The resort has a vibrant, exotic and popular nightlife, not to mention the shopping, restaurants and bars. To the south is the small peninsula on which the lovely ancient town of Nessebar is located - formerly a fisherman’s town, and is now one of Bulgaria’s historical attractions. 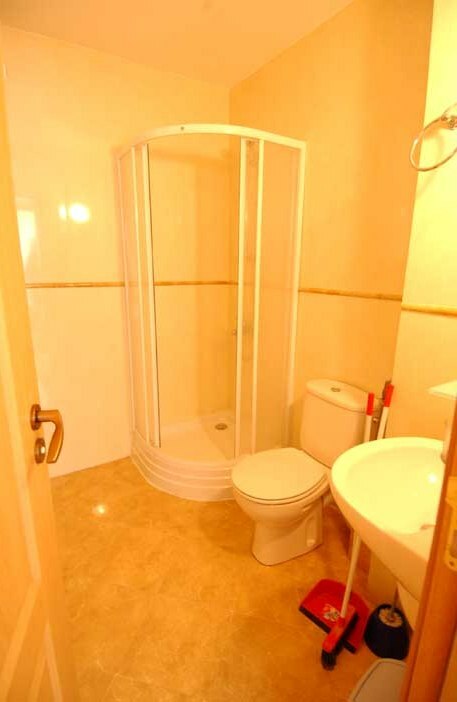 This presents a wonderful opportunity, whether for personal use or holiday rental! !